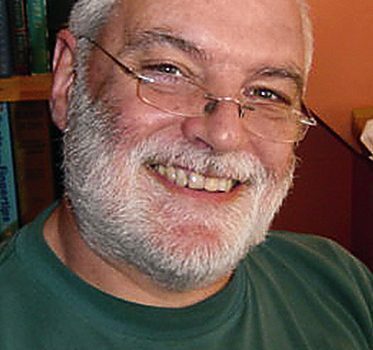 More and more, as I look back each year on what has caught my eye, I find myself drawn to works of genre uncertainty, work that plays with what had been safely familiar tropes, and results in fiction where we cannot convincingly say: that is science fiction, or that is fantasy, or that is mainstream. It is here, it seems to me, here in these borderlands, these debatable lands, that the most interesting, innovative, and exciting fiction is being produced. Thus it is perhaps inevitable that the book that im­mediately stood out as my novel of the year when I first read it, and that still lodges in my memory more vividly than anything I have read since, is The Rift by Nina Allan. This is, perhaps, a work of science fiction; it is, perhaps, a work that has no science fic­tion in it, and Allan works assiduously to undermine both of those readings of the book. It is the story of two sisters growing up in that curious and inevitably boring hinterland between Manchester and Liverpool; then one of the girls dis­appears. Was she kidnapped? Murdered? A runaway? There are investigations, but nothing conclusive is discovered. Eventually it sinks into one of those dull, everyday mysteries that tear the surviving family apart, but that is forgotten by everybody else. And so the lost child remains a malign emp­tiness for 20 years, until suddenly she reappears as if from nowhere, spinning a story about having been transported to another world. 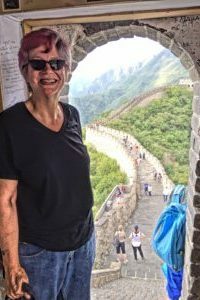 This other world has a mundane quality that intrigues and convinces more than most of the alien worlds we encounter in science fiction, and yet can we ever be certain that it exists anywhere outside the imagina­tion of the re-appeared Julie? There is evidence for her tale, but it may not prove what it is meant to prove. Is she even Julie? Her sister is convinced; her mother is adamant that she is a fake; again, there is evidence to point both ways. In fact every time that Allan raises something that would seem unequivocally to indicate one truth, she im­mediately undermines it. It is this refusal to accept any ontological certainty that makes this such a fascinating novel. It is, on the one hand, a superb analysis of the psychological fallout from such an event; it is also a vivid description of another world. It cannot be both, but it is both. Another novel that straddled that shifting terri­tory where mainstream and science fiction collide was Shadowbahn by Steve Erickson. For anyone familiar with Erickson’s work, we are dealing once more with his obsessive (and doomed?) quest to find the soul of America, but as ever he spins it into something new and strange. What if, on the 20th anniversary of 9/11, the twin towers rematerialized in the badlands of Dakota? What if Elvis Aron Presley had died at birth, and it was his unmusical twin, Jesse Garon, who survived? What if Jack Kennedy was a failed presidential candidate who was killed at Andy Warhol’s Factory in 1968? What if the Silver Beetles never made it as a beat group and broke up in disarray in the early 1960s? Erickson’s alternate history is always weird and dis­tinctive, with recurring characters from earlier novels turning up to play a fateful role that is never fully understood and never fully within their control. Away from the sheer shock of strange­ness that these two novels evoke, the year’s other science fiction seems to shine less brightly, though Kim Stanley Robinson’s New York 2140 is perhaps his best novel for some years. I was, however, rather more impressed by The Moon and the Other by John Kessel, from its French pun of a title (Lune et l’autre, L’une et l’autre) to the divisiveness of the politics (personal and national) on display in the various contending polities on the moon. It’s a book that makes you feel this is how people do behave, and the more extreme the situation, the more extreme their behaviour. 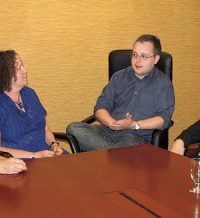 Robin­son brings his novel to a happy suggestion of hope for the future; Kessel, despite a coda which seems to offer an image of coming together across the divide, does not really offer much hope. I find myself more convinced by Kessel than by Robinson. 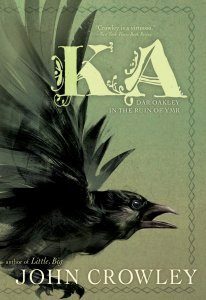 There is, of course, only one standout fantasy novel of the year: Ka: Dar Oakley in the Ruins of Ymr by John Crowley. The rhythms and harmonies of Crowley’s prose are as wonderfully infectious as ever, the sentences have a stately magnificence: you fall into reading Crowley and never want to come out. As to whether fantasy is the best or most appropriate description of this novel, I remain unconvinced. Yes, the narrator is recounting a story told by an immortal crow; yes, the crow, Dar Oakley, achieves its immortality by accompanying a female shaman into another world beyond life. Yet these fantastic tropes merely provide an appropriately detached perspective from which to regard the follies and foibles of human beliefs and relationships. Oh let’s call it fantasy if we have to call it something, but let us simply admit that it is a beautifully written and eminently readable novel. 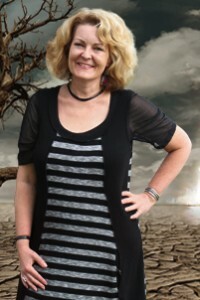 Crowley also wrote what is, for me, the best short fiction of the year in “This Is Our Town”, a fitting companion-piece in mood and affect to his master­ful “The Girlhood of Shakespeare’s Heroines”. It is a story about growing up in a (fictional) town that is the setting for a didactic novel aimed at Catholic schoolchildren in the 1950s, and Crowley’s subtle way of questioning both faith and reality is masterful. Unfortunately, apart from this story and a couple of non-fiction pieces, the collection in which it ap­pears, Totalitopia, is rather less over­whelming than one might have hoped. 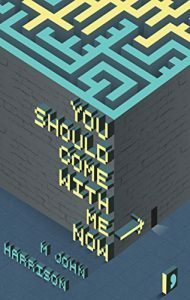 In contrast, though it lacks any one standout story, the essential collection of the year has to be You Should Come With Me Now by M. John Harrison. It reads like a distillation of everything that has been a feature of Harrison’s short fiction for the last few decades. In some cases the work has been so distilled that only a couple of sentences remain. Indeed, 21 of the pieces collected here are one page or less; the shortest, “Anti-Promethean”, is just two sentences, and yet they feel as if they perfectly capture the disturbed, unstable atmo­sphere we expect of a Harrison story. The longer pieces, notably “Entertaining Angels Unawares”, “The Crisis”, “Cave and Julia”, and “Cicisbeo”, represent that strange Harrisonian havering between fantasy and reality that seems to be the general lot of his characters, who exist at best on the margins of society. “Jack of Mercy’s” is a surprising but surprisingly effective return to Viriconium after more than 30 years. All of this is, of course, provisional. I shall prob­ably spend the early months of 2018 catching up on what I missed from 2017, just as I spent the early months of 2017 catching up on 2016 (and discover­ing treasures such as Rosewater by Tade Thompson and Lovecraft Country by Matt Ruff), but it would need to be something special to challenge the pre-eminence of Allan and Crowley and Harrison.